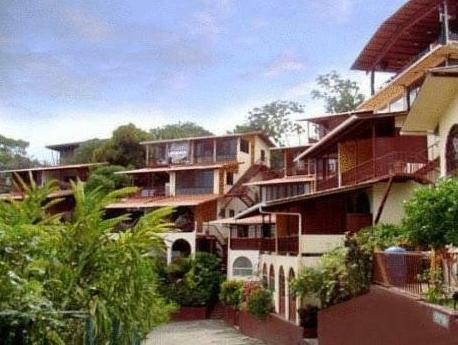 ﻿ Best Price on Hotel Villas El Parque in Quepos + Reviews! Just a 5-minute drive from Manuel Antonio National Park, Hotel Villa El Parque offers rooms featuring a private balcony with a hammock. Facilities include a pool, a hot tub and free Wi-Fi. The air-conditioned rooms at Villa El Parque are decorated with dark wooden furniture and tiled floors. All rooms have a seating area, cable TV, and tea and coffee making facilities. Some rooms have stunning ocean views. Guests can enjoy local and international gourmet dishes at the ocean-view restaurant. The poolside café offers a wide variety of drinks and refreshments, including tropical cocktails. Hotel Villa El Parque’s staff can help recommend and book various activities and trips, such as guided walks, kayaking, horse riding, and canopy tours. Quepos Airport is 2.5 mi from Hotel Villa El Parque. Free parking is possible on site. Ocean view, central location, close to the beach. Had a wonderful stay @ Hotel Villas El Parque. You never know what to expect when booking a hotel on line, but was blown away by the view from our room when we arrived! The hotel is set on a steep hillside with lots of stairs so would not be good for small kids or people having issues with heights. There are many restaurants in walking distance and also a convenience store next door. The prices couldn't be beat! Chambre avec coin cuisine agréable, jolie piscine, belle vue.